University of California Press, 1984. Hardcover. Very Good. Disclaimer:A copy that has been read, but remains in excellent condition. Pages are intact and are not marred by notes or highlighting, but may contain a neat previous owner name. The spine remains undamaged. The dust jacket is missing. At ThriftBooks, our motto is: Read More, Spend Less. University of California Press, 1984. Hardcover. Acceptable. Disclaimer:A readable copy. All pages are intact, and the cover is intact. Pages can include considerable notes-in pen or highlighter-but the notes cannot obscure the text. An ex-library book and may have standard library stamps and/or stickers. At ThriftBooks, our motto is: Read More, Spend Less.Dust jacket quality is not guaranteed. University of California Press. Used - Good. Shows some signs of wear, and may have some markings on the inside. University of California Press, 1984. Ex-library copy no library pocket. military hist.. First Printing... Hardcover. Very Good -/Very Good. Berkeley, Los Angeles, London: University of California Press. Very Good in Very Good- dust jacket. 1982. First Printing. Hardcover. 0520051033 . Has two very small edge tears to the top spine end and front bottom. .
University of California Press, 1992-07-01. Hardcover. Good. University of North Texas Press. Used; Very Good. University of California Press 2013 Hardcover. Pages are clean and unmarked. Front of dust jacket has a one inch close tear. Book Condition: Very Good Jacket Condition; Good . 1992. HARDCOVER. University of California Press. Collectible - Very Good. First edition copy. Collectible - Very Good. Good dust jacket. Berkeley: University of California Press, 1992. Hardcover. pp. xxxvi, 219. 8vo. Black and white photographs. Light shelfwear; very good+ in a very good+ dust jacket with light shelfwear and light rubbing to panels. University of California Press. Near Fine. hardcover. 13 plates. 219pp. 8vo. Cloth. Berkeley: University of California Press, 1984. Fine copy in a fine dust wrapper. University of California Press, July 1992. First Edition. Hardcover. Collectible - Very Good/Good. 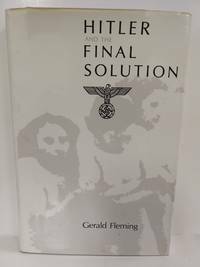 A stated first edition, with a full number line. DJ has minor wear. Book is clean and tight. We put tracking on every shipment. University of California Press, Berkeley: 1984. Hardcover with dustjacket. Good condition. ISBN: 0520051033. Berkeley, CA: U. of California Press, 1984. First Edition. Hardcover. Fine/Very Good. Size is 8vo. 13 Plates. (full book description) U. of California Press, Berkeley, CA, 1984. 1st Ed.(U.S.) Fine/VG+, Hard Cover, w/Dust Jacket. Size is 8vo, 219pgs. 13 Plates. DJ rear cover rubbed, o.w. clean, tight & bright. 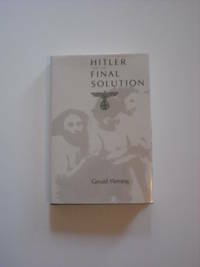 ISBN 0520051033 [Holocaust; Hitler; Nazism; University Press; German History] SELLING WORLDWIDE SINCE 1987. WE ALWAYS PACK WITH GREAT CARE! University of California Press, 1992-07-01. Hardcover. New . First Printing. New Hardback Book without Dust Jacket. Book is in New condition with a tight binding and clean crisp pages. Book appears unread and unused. 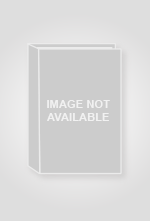 Berkeley, Ca, U. S. A.: University of California Press. Fine/Fine. 1984. First Edition. Hardcover. 0520051033 . Owner seal .